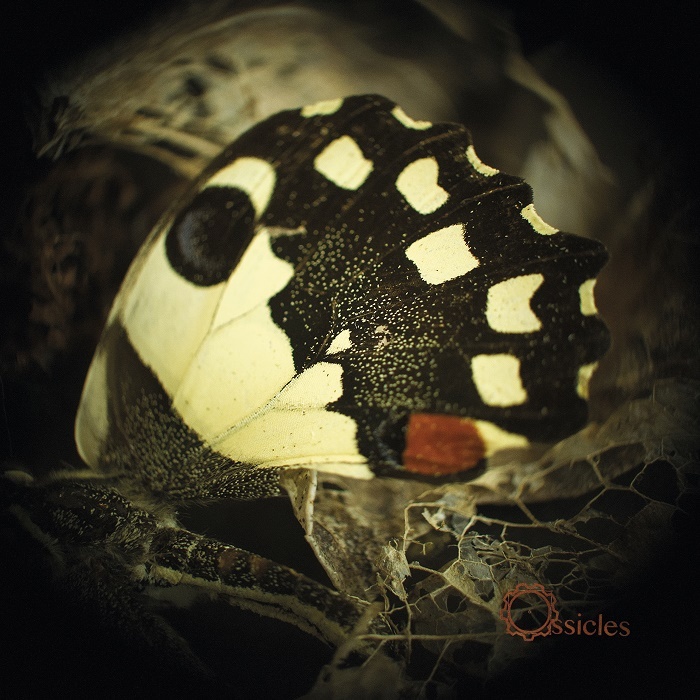 When a band produces a debut album as good as Ossicles did with Mantelpiece, there’s a very real possibility that a second album will slip in quality, the dreaded (and clichéd) Sophomore Slump. So how does Music for Wastelands fare? That’s not a simple question to answer. The bad news is that it doesn’t quite reach the heights of its predecessor, but that can be tempered with the knowledge that its predecessor was so outstanding. The good news is that this is still a really fine album. There are some superficial similarities with the Porcupine Tree brand of contemporary progressive rock (breathy vocals, production style), but Ossicles have a much looser, jazzier feel, with electric piano and saxophone often figuring in the mix, and both the guitar and keyboards venturing into chordal territory not common in rock music. And while these are elements of Canterbury prog as well, this doesn’t really sound like a Canterbury album, though Ossicles would certainly work as a double-bill with Syd Arthur. The stylistic range such that they’re very hard to sum up. For example, there’s a fairly mellow stretch in the middle of the album, starting with “Pale Summer Nails,” which features a moody female singer backed by acoustic guitar, through “The Red Heart,” which is a mellow tune with beautifully harmonized male vocals, acoustic guitar, and lush keyboards. The next track is “Goodnight Ghosts,” which starts with an insistent bass riff with distorted electric piano, then crashes into a frightening near-industrial section of distorted vocals; interludes feature a jazzy sax part. But it all holds together and manages to sound like the same band. The Veland brothers are amazingly talented musicians, with wide-ranging influences and a distinctive sense of how to put parts together. I’m reminded at times of Lars Hollmer’s way of juxtaposing seemingly unrelated elements, and Mats/Morgan would be another touchpoint, especially considering the dexterity involved in some of these parts (though Ossicles is generally less hyperactive than Mats/Morgan). In short, if Music for Wastelands is a tiny notch below its predecessor, it’s still miles above most of what passes for music in 2015, and gets my highest recommendation.